Service Area: 75 Square Miles of Southwestern Comal County – Garden Ridge city and rural areas from the Bexar/Comal County line, west of I-35, south of Highway 46, and east to Krueger Canyon. Contracts with: Bracken Volunteer Fire Department and Schertz Emergency Medical Services. Property tax rate for emergency services (current 2016):: 7.25¢ cents per $100. Owner of a $200,000 home pays $145 – less than $13 per month. 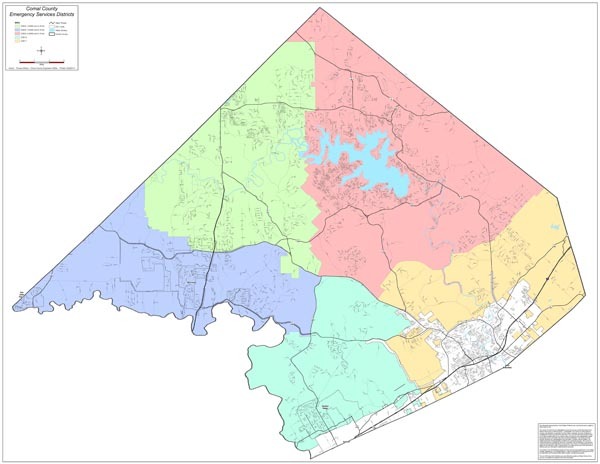 ESDs are geographic subdivisions of the State of Texas like a school district or a county. They may support or provide local emergency services, including emergency medical services and rural fire prevention and control services. ESDs impose sales and use tax and/or property tax to support or provide these services. In addition to other powers, an ESD may also own real or personal property, enter into contracts, employ agents, and accept donations. ESDs are the only practical way to adequately support emergency services in many Texas municipalities as well as suburban and rural areas of the state.